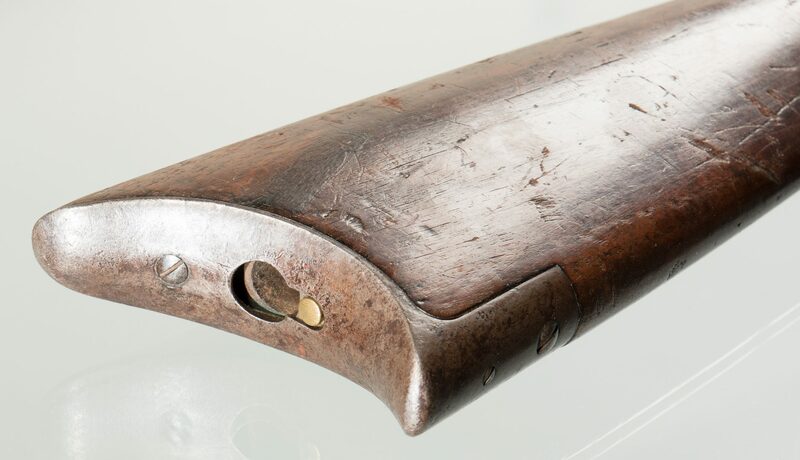 "Centennial" Model 1876 Winchester rifle, .40-.60 WCF (Winchester Center Fire) Cartridge. Serial number 60736. 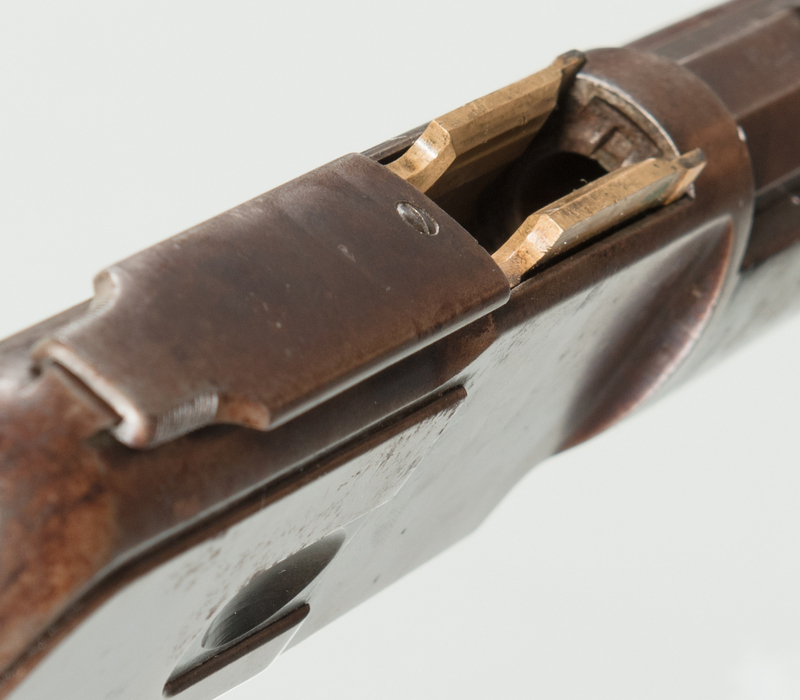 Barrel marked, " WINCHESTER'S REPEATING ARMS NEW HAVEN CONN. U.S.A. KING'S IMPROVEMENT PATENTED MARCH 29. 1866. OCTOBER 16. 1860. 40-60 W.C.F.". 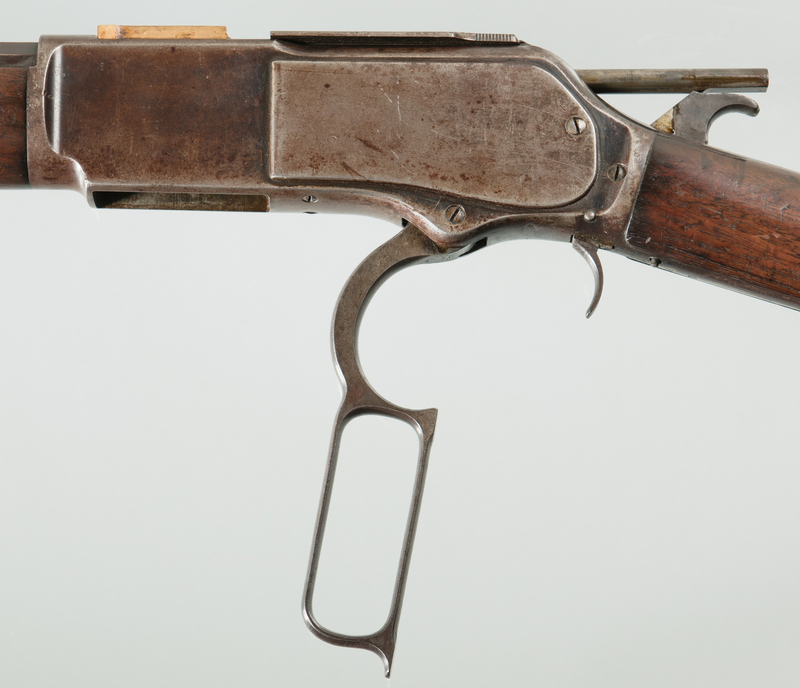 Tang marked, "Model 1876". Loading block marked, "40-60". Walnut stocks, metal frame, octagonal barrel. Standard sights. Barrel length – 28". Overall length – 42". 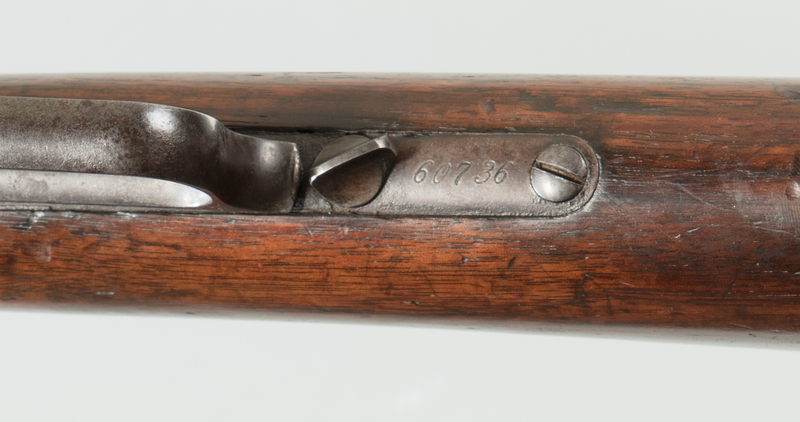 Serial number corresponds to year 1887. CONDITION: Bore is semi bright with shallow lands and grooves with light pitting. 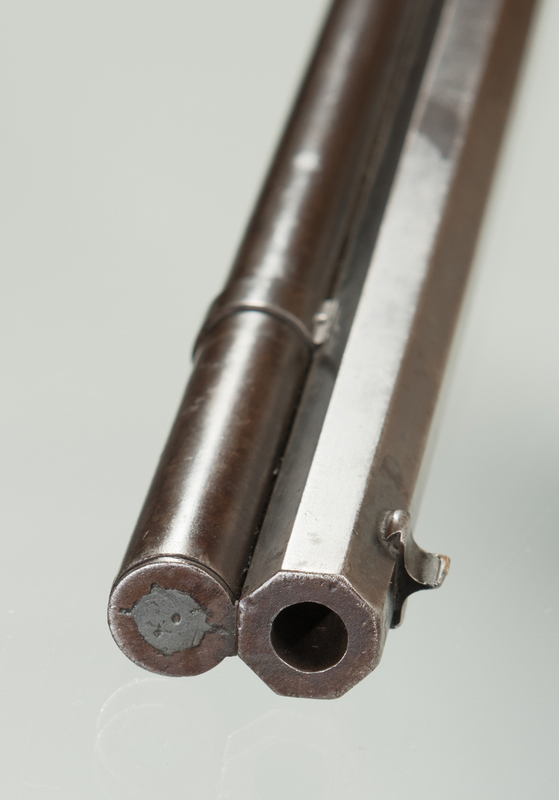 Barrel and magazine tube are thinning blue mixing with brown. 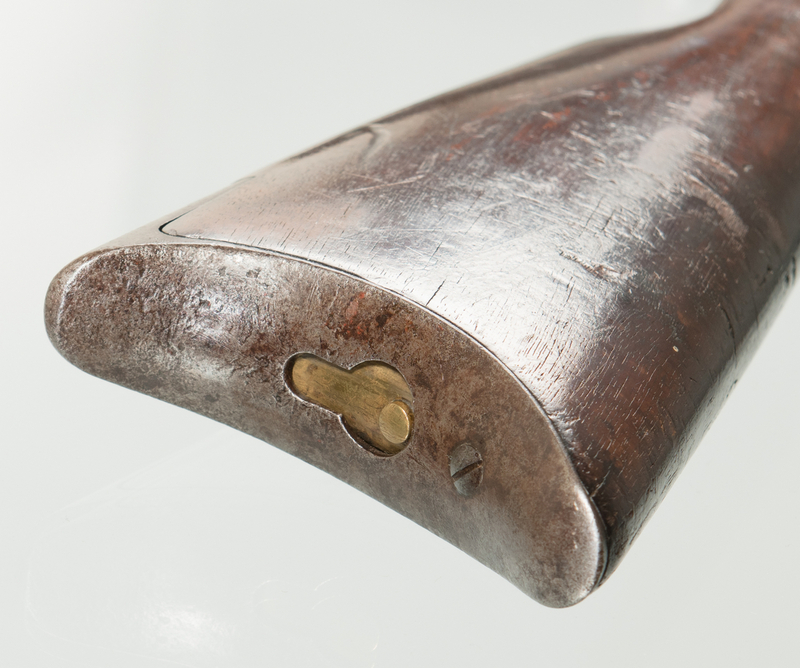 The end of the magazine tube appears to be modified but is full length. The receiver has glints of blue and is otherwise brown. Hammer and trigger are brown. Wood is good with numerous dings. Action is excellent.